The topic of shame resilience is really important to me. Coming from my own experiences of shame, I’m lead to ask, “What causes shame?” and “How can I tend to myself when I’m feeling shame?” I have a section on the HeartWorks website of blog posts that addresses these questions, and today I’d like to contribute further to helping us all work out how to take care of ourselves through the experience of shame. an Internal Family Systems journey addressing an exiled shame part. 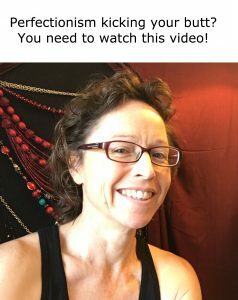 If, like me, you sometimes struggle to put aside the time to tend to yourself, I encourage you to put aside the time to watch these videos if shame is a constant challenge for you and you want some ideas for practical tools to take care of yourself. I did both of these practices as self-lead journeys, but these were originally designed to be lead by a therapist or teacher. Please keep that in mind if you wish to try either or them yourself – they both involve a number of carefully sequenced steps, and if you are new to shame resilience practice I would suggest you do a Mindful Self-Compassion course or seek the assistance of an Internal Family Systems therapist or practitioner. I hope my work contributes to increased shame resilience on a massive level! My one main hope for our collective future is that we are each individually able to move to places of more emotional resilience so that we can stop hurting each other in attempts to have old unmet needs met.